I don’t know if you would agree, but it’s always good to eat with someone, right? I feel that food becomes more satisfying, no matter what it is, when you are not alone. Now, where is the magic? It’s on the conversations that go with every bite – the stories told, the encouragements shared, and the disappointments that were turned into opportunities. I am a strong advocate of the truth that God created us relational. After creating Adam, despite all the provision , ‘The Lord God said, “It is not good for the man to be alone. I will make a helper suitable for him”’ (Genesis 2:18). In fact, from the moment you first opened your eyes, you were never alone and you never wanted to. I used to watch one of my nieces sleeping, and every time she feels that she is alone, she would just cry, until she feels that someone is with her. That’s just one among all the daily realities that would tell you that you needed to be with someone – at home, at the office, at the school, or even just while window-shopping at the mall. I’ve heard a lot of people claiming that they are better alone. Sometimes, I would take their word, but eventually, I find them longing, then they try to find some sense of belongingness, and then build relationships. In terms of pursuing your goals, it requires a good amount of discipline to stay on track, and not everyone has that. It’s good if you do, but it’s not all that it takes. Along the way, you would encounter distracting circumstances that could demotivate you to pursue these goals and it would be great if there is someone to share words of encouragement and make you realize your successes along the way. In the current stressful environments, being with someone provides a great relief. Many studies show that depression is actually a disease of loneliness and people who suffer from it are the ones who have isolated themselves from the world for various reasons. The lack of “real friends” develop serious degrees of melancholia, especially when faced with pressure, lack of security, and confusion. Someone you are comfortable to share almost anything – your struggles, joys, goals, and sometimes even the things you would typically keep in your “dark room”. Someone who has the genuine intent of helping you identify your strengths and weaknesses and use them to your advantage. Someone who could help you stay on track when you are lost. 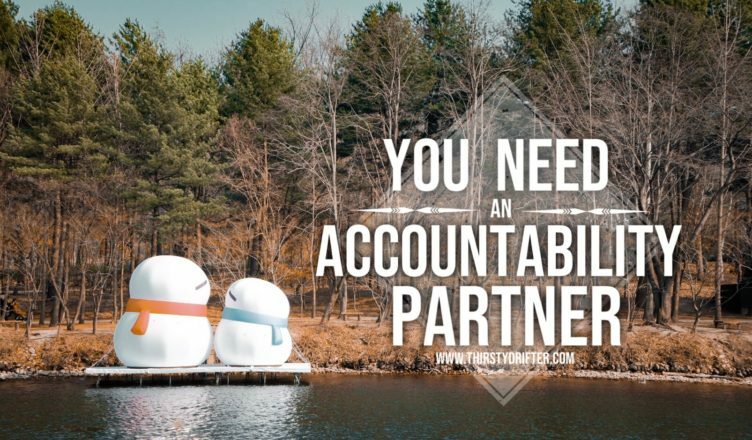 You and your accountability partner would talk about your situations, come-up with plans, and commit to taking action to make sure you’ve both done what you said you’d do. Being accountable with each other, you are able to serve the purpose of a coach, friend, and a family member without the feeling of being barred or the comfort of being fancy-free. At the end of the day, we are much more likely to succeed if we have someone who sees us as part of the picture while also coaching and cheering us along the way. It is important to take note that for an accountability partnership to work, there should be a strong foundation of trust. It is not necessary for you to have a lot of similarities. Sometimes, you would even need someone who is your exact opposite as long as you trust each other and that you have the commitment to help each other cope up in all challenges and see each other’s success as the ultimate goal. You would also need to connect regularly to catch-up and see where are you on your goals. Take time to message someone you know now and check how they’ve been. It takes a little courage to reach-out to someone for help but once someone is able to spark a conversation, it will lead to something productive, even without you noticing it. Remember, you are not alone, and you are not created to be alone.